If you haven't gotten into the third-party keyboard craze yet, now's your chance to try! A lot of keyboards are under two dollars (or free), so download a couple of apps to see what you like. They are easy to install. The biggest feature is the "swipe" aspect that Android phones have had for a long time. It allows users to swipe their words together instead of typing out each letter. It's especially useful for one-handed typing. Another feature is customization! Some keyboard allow you to change the background color of the keys. 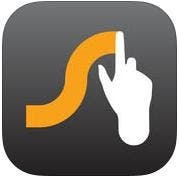 Even though most support swipe typing, you can still type normally. 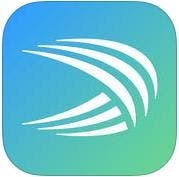 I have tried out three of the most popular keyboard apps on my own device: TouchPal (free), SwiftKey Keyboard (free), and Swype Keyboard ($0.99). Of course there are pros and cons to each, in my opinion. For me, the Touchpal keyboard is the most responsive to my type of swiping. It also allows for shortcuts for punctuation marks, emojis, and numbers, so you don't have to switch keyboards while swiping. There are also 16 different preset themes to choose from, or you can make your own with your own picture! I like this one the best when typing with one hand. I also like it because it works just as well as the native keyboard when typing words instead of swiping. Cons? The symbols are out of order. But this is remedied by shortcuts in some instances. The second on my list is SwiftKey. Even though I haven't used it as much as the others, it's predictive text feature is pretty cool. Unlike other keyboards, this one seems to learn more quickly than others. You can almost type complete sentences by tapping the words above your keyboard. It also learns your typing if you sign up for SwiftKey Cloud, which syncs the keyboard with your Facebook, Twitter, Gmail, and others. When I go to type my e-mail or website URL, I can tap predictive text options instead of struggling to fight autocorrect. This keyboard only has two themes, light and dark, but the predictive text makes up for it. The backspace key also works twice as fast, making deleting easy. Besides, it was recently named as one of Apple's Best Apps of 2014. The Swype keyboard is my third favorite of this bunch, and one of the most downloaded third-party keyboard apps on iOS (it's pretty popular on Android too). Swype has many of the same features, including different color themes, shortcuts for punctuation, but it also allows you to put words in your "dictionary." When you type something over and over again, Swype will ask you if you want to add it to it's lexicon. That's right, now you can type selfie without it autocorrecting it to "deluge" or "selfish." There's also a quick shortcut for a number pad incase you need it. Cons? It's harder to switch to the emoji keyboard, if you're into that sort of thing. 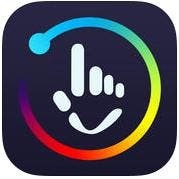 There are other options, too, if you don’t just want to swipe: Fleksy Keyboard ($0.99) allows you to shrink your keyboard down while still allowing you to type at normal size and speed, while with ScribbleBoard ($0.99), you can draw pictures and send them to your friends when words aren’t enough. Whichever you choose, make sure to check all the third-party keyboard options out—there may be a hidden gem somewhere. Quick tip: Make sure you go to the keyboard settings on your iPhone (settings > general > keyboards) for each keyboard to allow full access—this is how to get your keyboard to work! Top image credit: wavebreakmedia / Shutterstock.com.